And oh, does she have a treat for us!!! You know you want to see more!! Thank you for the sneak peak! Love it and look forward to see more when it will be up on the crafty quilter blog! I am falling in love with Enchanted! I love Julie's use of the plaid for the sashing. Julie's always makes beautiful quilts. 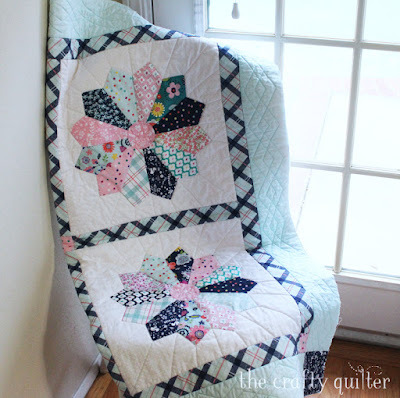 I really love Julie's Dresden quilt! I've wanted to make a Dresden plate block for a while and those fabrics are beautiful. I love the way Julie used the plaid fabric as sashing around those Dresden plate blocks! Beautiful collection! Love Julie's baby quilt! The quilting in the border is wonderful! Oh My Goodness, this fabric line is SO adorable! Thank you for the chance to win! I just love Julie's baby quilt, I'd love to make one just like it. Love the sashing on the dresdens! Really makes the quilt! BEAUTIFUL DRESDEN QUILT! THANKS FOR SHARANG! This is really a beautiful quilt! What a great quilt! the plaid she used for the sashing is fabulous!! Julie's Dresden Baby Quilt is stunning! So cute in these fabrics! Julie's Dresden Plate quilt is beautiful! It really shows off all of the fabrics in this collection. Loooove the Dresden Quilt from Crafty Quilter!! Her use of the Plaid is AWESOME!! I love the dresden quilt! I need one! This is a lovely dresden quilt in your fabrics. Wow, gorgeous baby quilt. Hopefully she'll post a picture when the binding is complete. Thanks for the great blog hop. I love the colors in this quilt- just beautiful! That's an especially charming quilt today, and I really love the plaid as smashing! I would have never thought of using the plaid sashing. Great idea. I love Dresden Plate blocks and Julie's look wonderful in these sweet fabrics. Thanks for sharing! 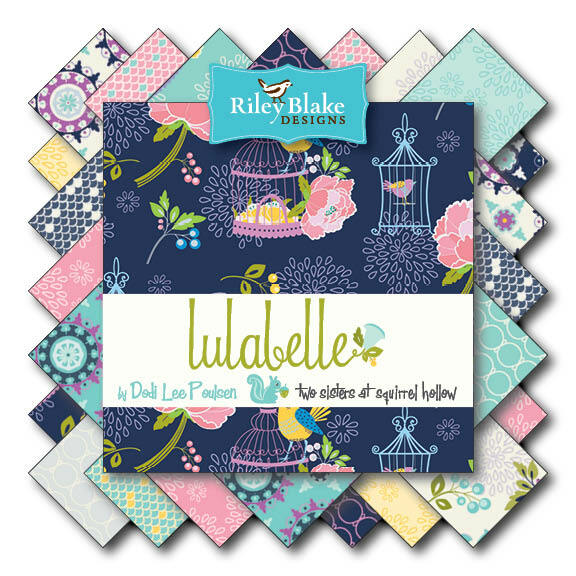 Wow, fabulous quilt and yummiest fabrics.Ii love about the quilt and design! I've got a Dresden Plate project on my goal list for this year and this one is a beauty! I'm looking forward to Julie's tutorial soon! I LOVE Julie's baby quilt. 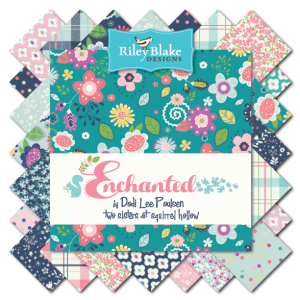 She just has a great way of putting fabrics together, but she has certainly put Enchanted fabric at the top of my wish list. Also glad to find your blog as a result of her participation. This looks lovely, I've always wanted to make a dresden quilt. I love those dresdens, and the mix of colors is so nice--there is such a good balance between the dark of the navy and the lights of the pinks and the lighter blue. I love Dresden quilts and this one is awesome made with this fabric! Thanks! What a fabulous baby quilt! Beautiful quilt! I love the border quilting on it. Very interesting blog tour. I've enjoyed it. I loved the baby quilt and the dress. Great ideas! The quits are fabulous. Well done on the designs as well. Thanks for sharing.